In this interview, we talk to Gemma Jones, Deputy President of NUS Scotland for 2018-19, whose job involves leading on quality and education within the NUS Scotland executive. She has just completed a sabbatical year as President of the SRUC (Scotland’s Rural College) Students’ Association. She was previously Vice-President there, Campus Officer for SRUC’s Ayr campus before that, and she graduated in BA (Hons) Outdoor Pursuits Management. 1. Let’s start with our favourite opening question – what does student engagement mean to you? To me it means students who are enabled to take part in an activity, campaign, experience or feedback system, to make positive change to their learning experiences and their lived student experience. 2. And what got you involved in this work to start with? Before I went to SRUC I had experience of university firstly through friends who went to university, going to their events. When I started at SRUC I saw a lot of potential in how we could make a really good student experience from nothing (SRUC had just been formed from a merger of four colleges), and the work on the students’ association began. I wanted to be engaged in that, and our students should be able to have a similar experience to that in a bigger university, e.g. be able to start the same clubs and societies, and have a good educational experience. 3. Are there advantages in not being a traditional university but a small and specialist institution? There are lots of strengths, but there was no students’ association when I started at the Scottish Agricultural College (which was one of the colleges that merged into SRUC). So it was a case of seeing what could work on a smaller scale and see those things enabled in different ways. I just wanted to ensure that others around me had an equivalent experience. 4. And does SRUC’s multi-campus structure bring advantages? Yes, there are different ideas coming from the different campuses, and also we cover both further and higher education delivery, so you have students going through very different learning experiences. Every campus has its own personality and you quickly learn what works in one place to engage students won’t work elsewhere, and the priorities will be different too – for instance students will talk about the cafeteria in one campus but be concerned about field trips in another. That can vary according to the different student lifecycle – with some dominated by students on one-year courses and others having students tending to do four years with more of a buy-in and commitment to the student experience. That gave me the ability to see a wider scope of student engagement and what people see in their student journey, and the ability to see progression and get student input through national certificates to degrees, across the education spectrum. 5. Is that diverse experience borne out at a national level in your new role with NUS Scotland? Having just met full-time officers at training events I’ve seen a lot of things we can learn and share across the nations. For instance, I have been able to share Scotland’s unique position, such as the College Students’ Association Framework and the work of sparqs, with those in other parts of the UK, though it works both ways with inspiration to be brought back from elsewhere. 6. And what are your plans for this year? Our plan of work will be coming out soon, which will list NUS Scotland’s priorities, some of which are mine and some of which I will be working on with others. Mine include education, in terms of how we make quality accessible from officers to reps to students; and mental health, making it sustainable, engrained in colleges’ and universities’ structures. 7. And how do you make quality accessible? I tend to think of some of my students I’ve got to know over the years at SRUC, and with them in mind I ask: will they understand this? ; what about this will excite them that they’ll want to engage with and see as relevant? 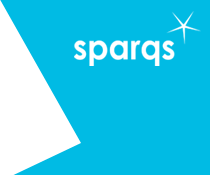 ; how can we make sparqs’ information and other quality activity accessible to officers, so they can make it relevant to their reps? ; and so on. Part of this is simply making things easy to read, with “too long; didn’t read” summaries on the front of documents explaining how they are relevant. I’ll also be looking at communications and networking to help students’ associations develop across Scotland. It’s important that instead of reinventing the wheel we should take others’ inspirations and make easy ways to feed back and share on projects. In addition, throughout the year I will have monthly themed questions to ask students’ associations to share back on to find out activities at UK, Scottish and institutional level that people have been achieving on. Thanks to Gemma for being an interviewee. To suggest a future subject for interview, please contact us.